Working your muscles under cold and compression is a unique leading edge technology that allows you to build muscle faster than normal methods. But the effects on your metabolism will be even more startling and satisfying. 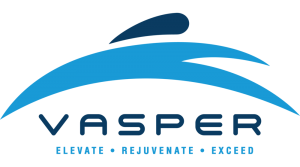 Vasper has been found to contribute to better sleep, faster fat burning metabolism, and better balance in older people. It is currently being utilized in medical offices, in fitness centers, and training environments with sports teams and the military. The results in boosting testosterone and growth hormone have been astonishing. Vasper has even produced unexpected benefits with post concussive patients.